This month’s topic is “Black Bears in Connecticut” with guest speaker Paul Colburn. The program is free and open to the public. Sunday, April 14 at 2 pm. “Black Bears in Connecticut” focuses on the natural history of black bears in Connecticut, an overview of black bear habitat, diet, behavior, reproduction and current research efforts. 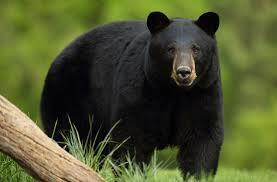 It also provides practical recommendations for optimum coexistence with our black bear population. Black bear artifacts are shared with the audience. Guest speaker Paul Colburn is a 2015 graduate of the Master Wildlife Conservationist Program. “Sunday Afternoon Talks”, hosted by Charles Lautier, is free and open to the public.